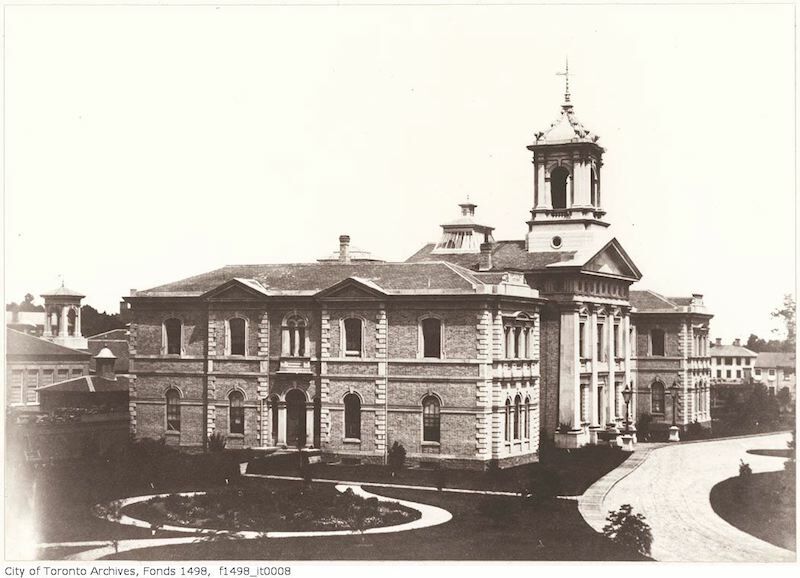 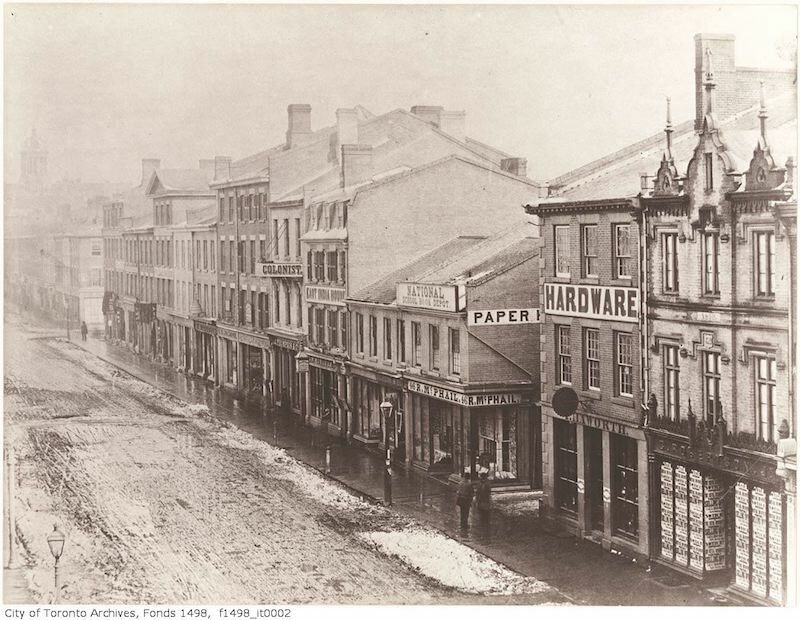 While browsing the Toronto Archives for a previous post, I came across this 25 photo collection which were taken by Armstrong, Beere and Hime for the City of Toronto in either late 1856 or early 1857. 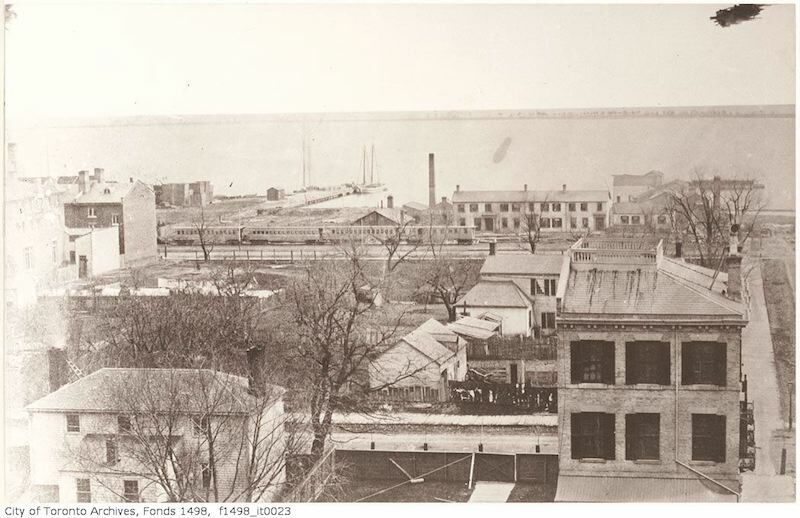 The collection most likely was one set of a series of “100 Views of Toronto”, (four duplicate sets of 25 photographs) that the City bought in July 1857 from Armstrong, Beere & Hime to accompany its submission to the Colonial Office promoting the selection of Toronto as the capital of the Province of Canada. 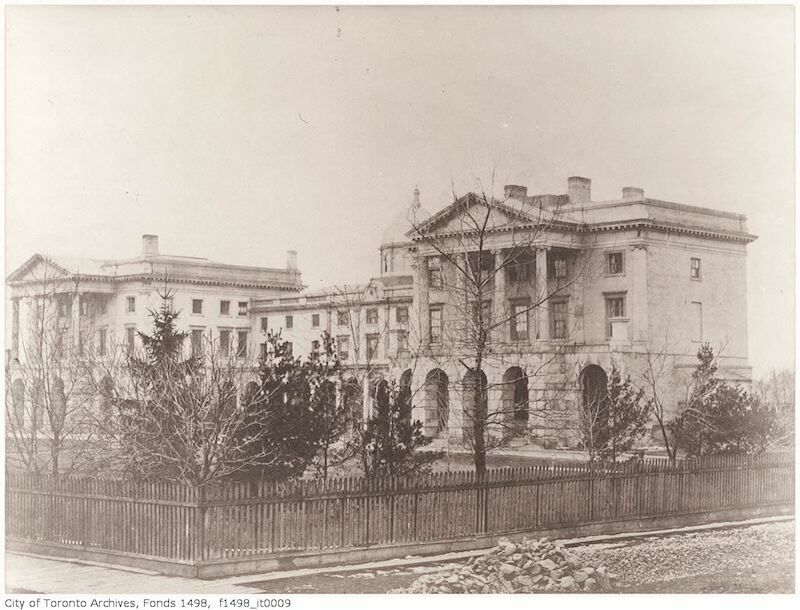 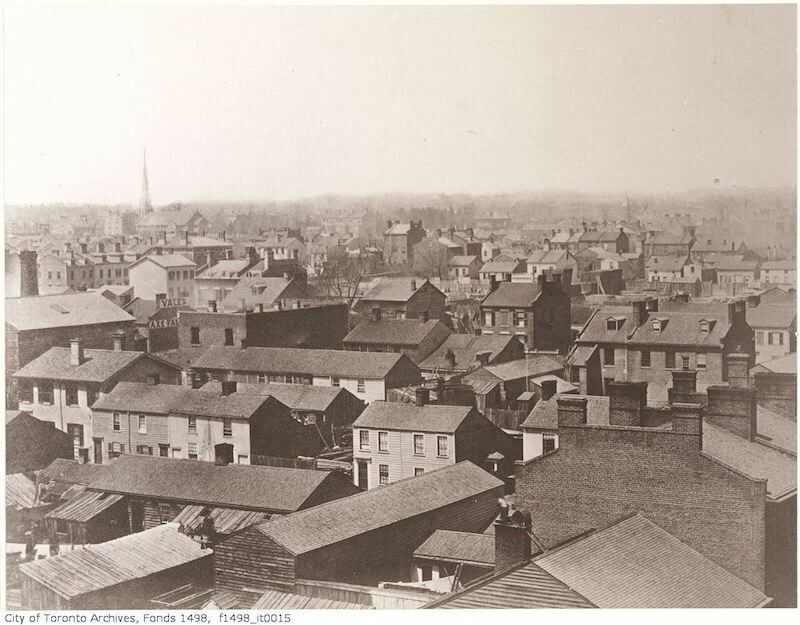 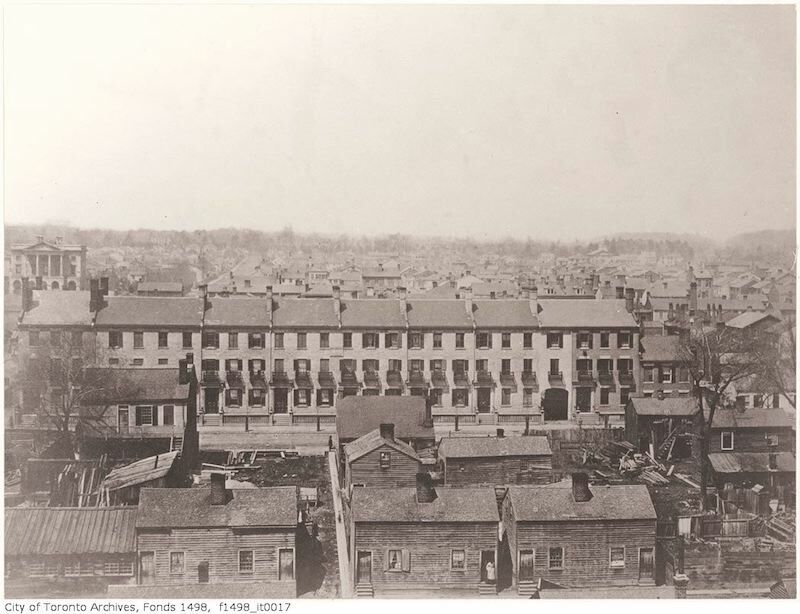 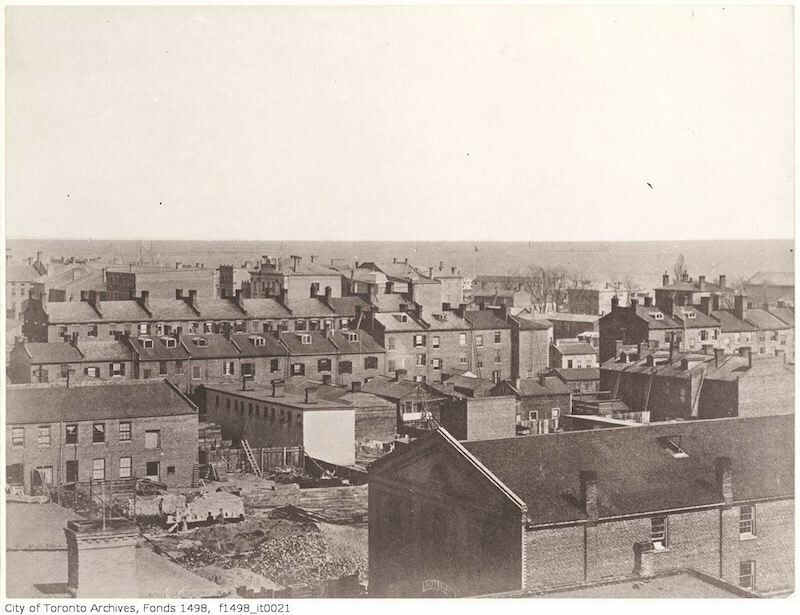 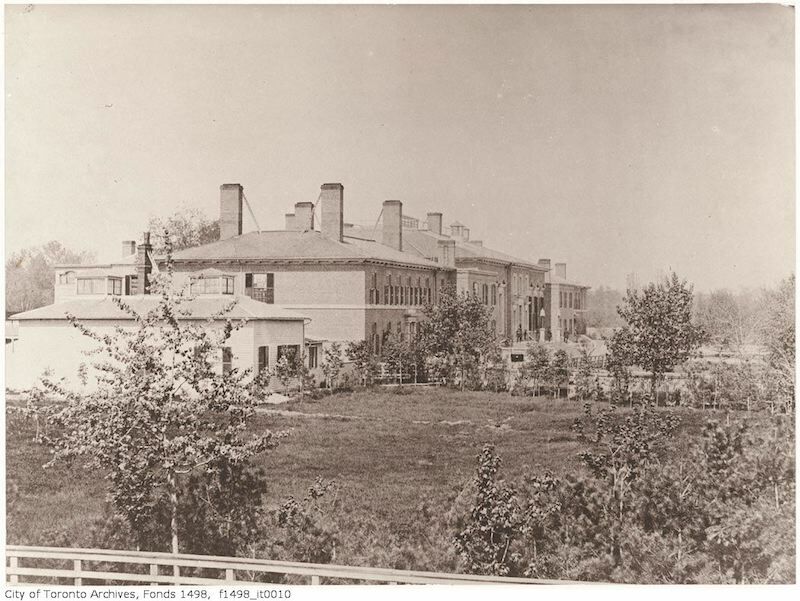 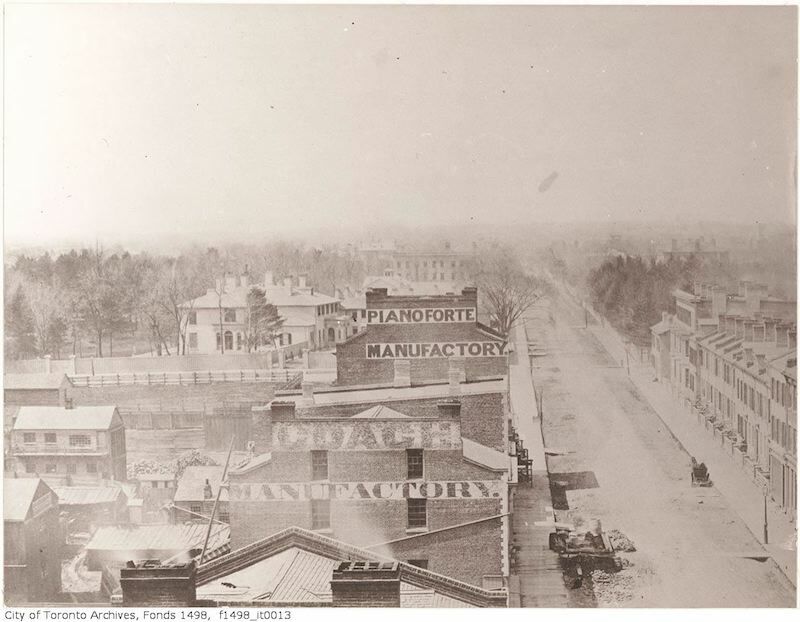 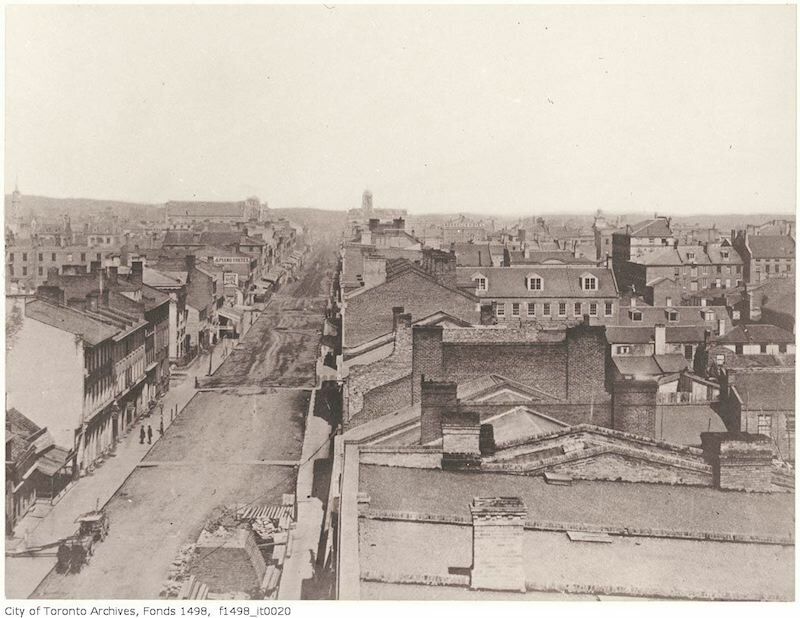 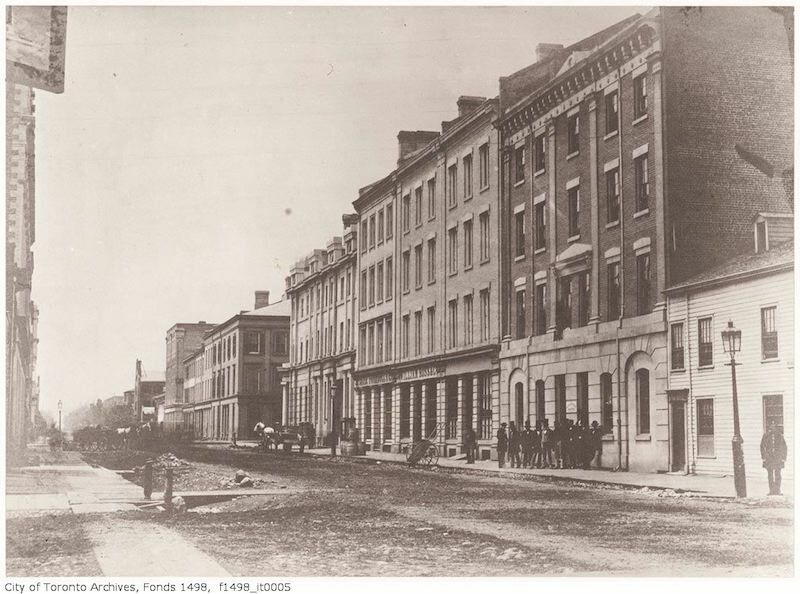 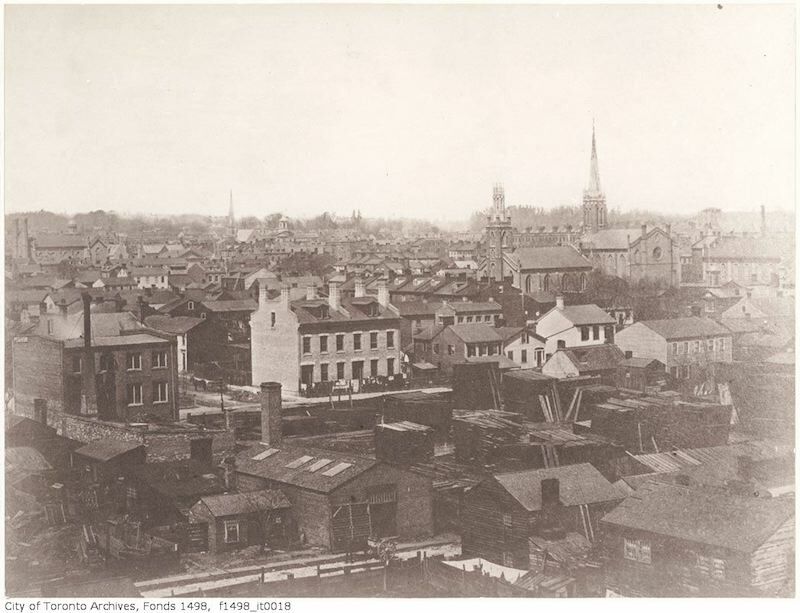 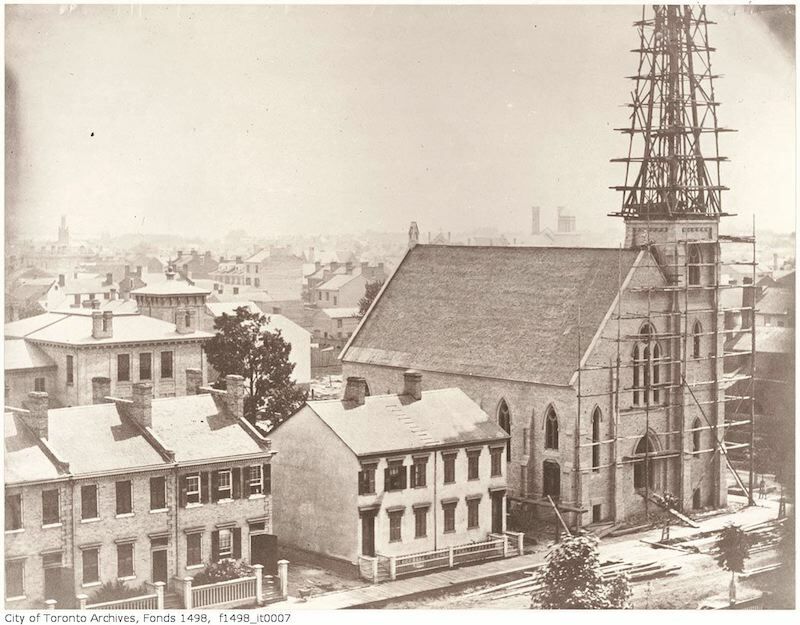 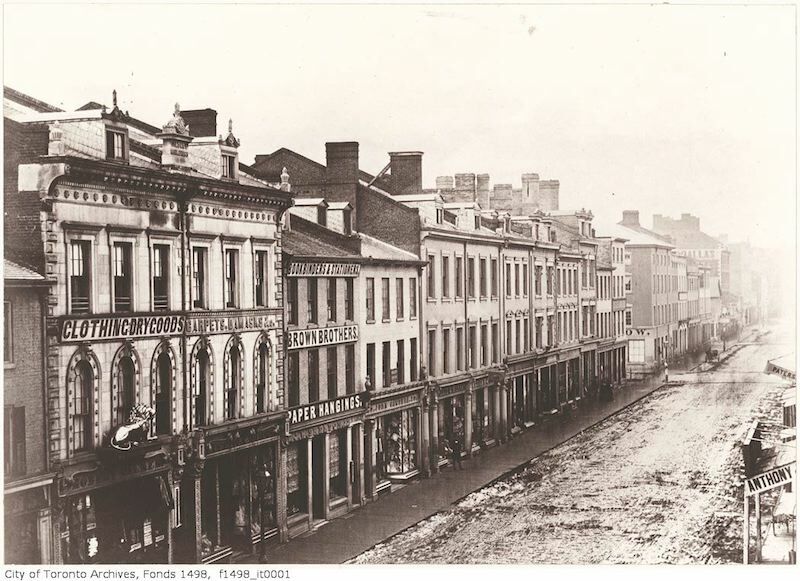 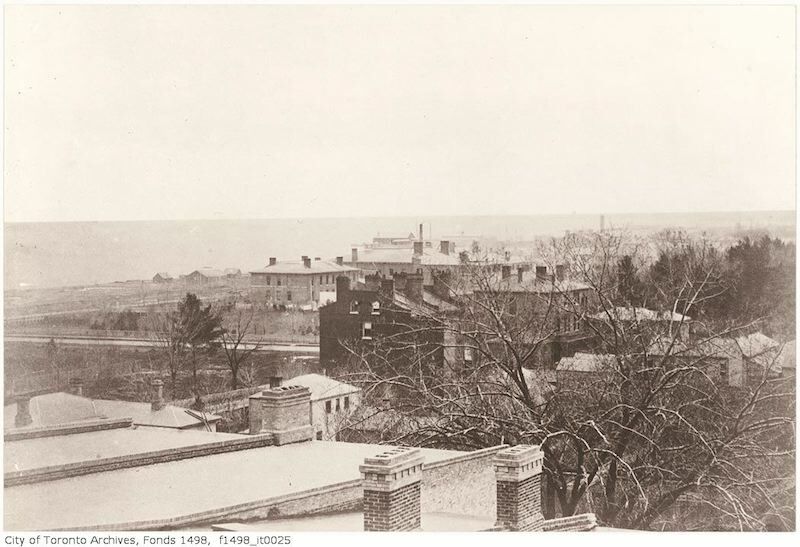 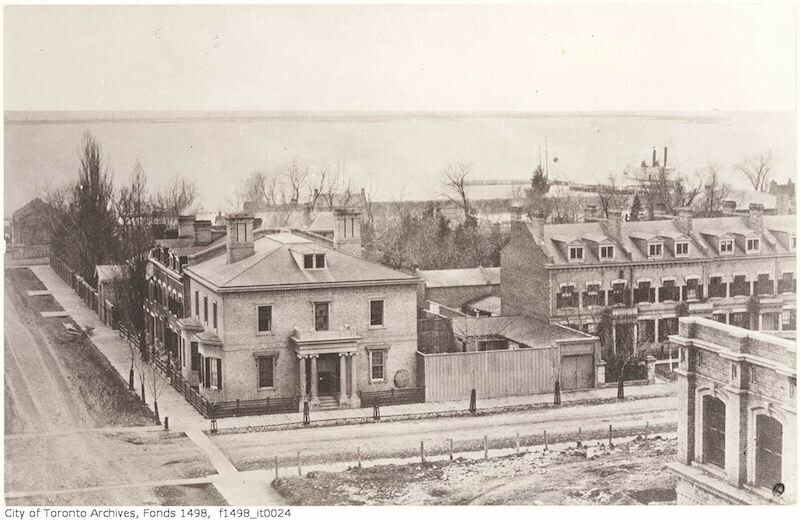 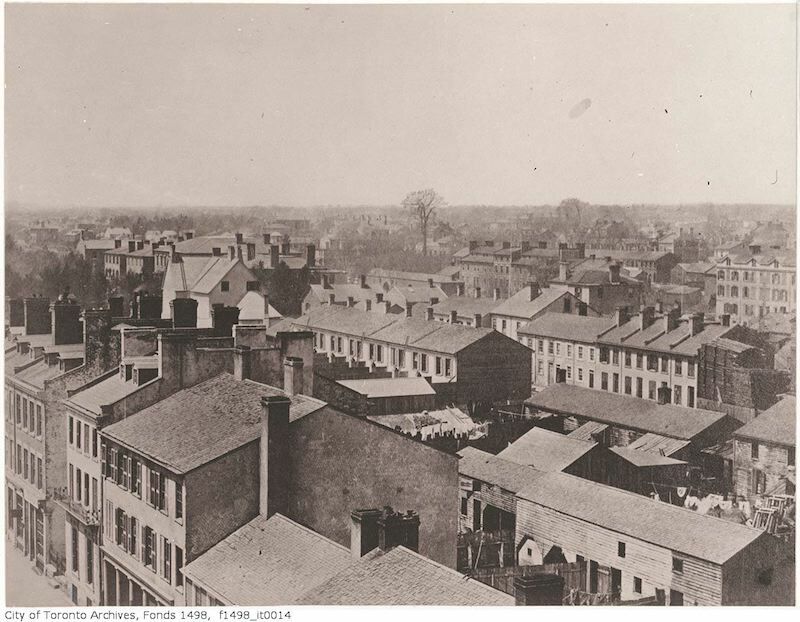 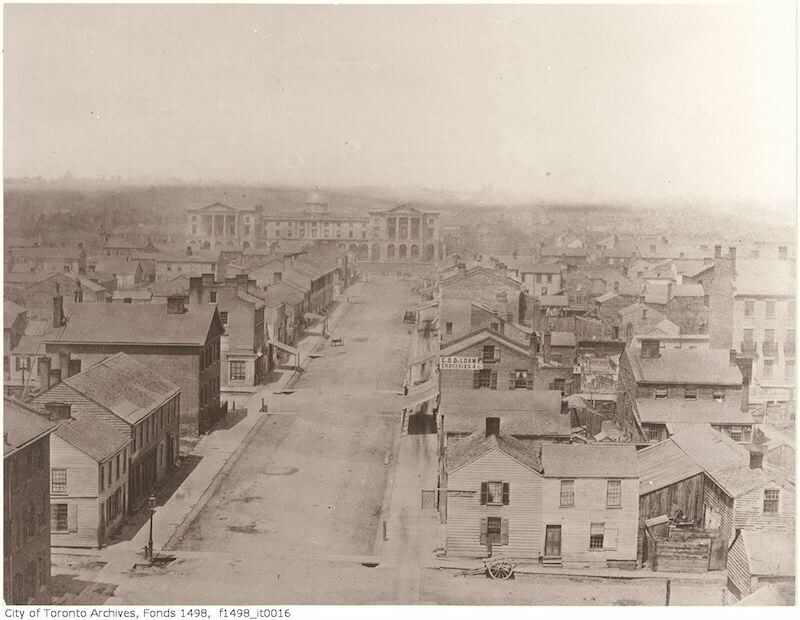 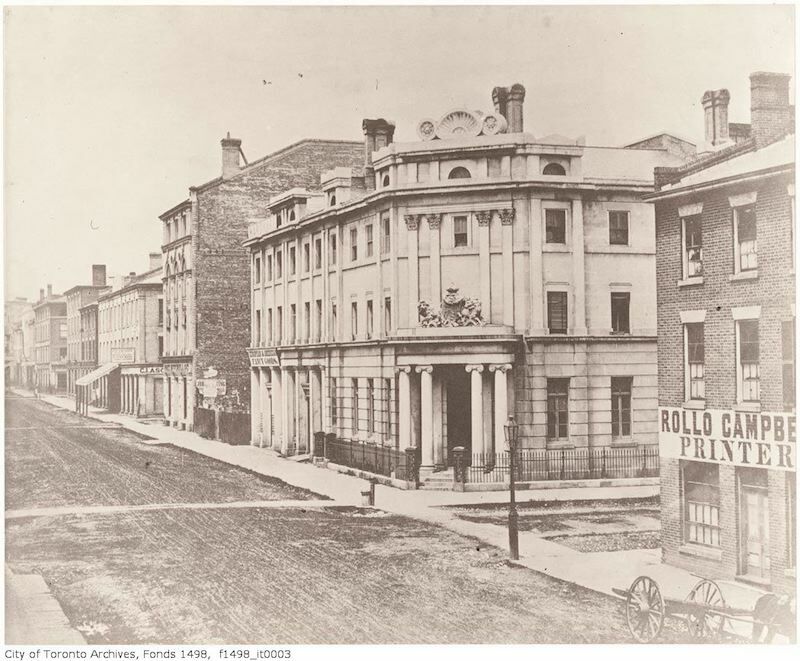 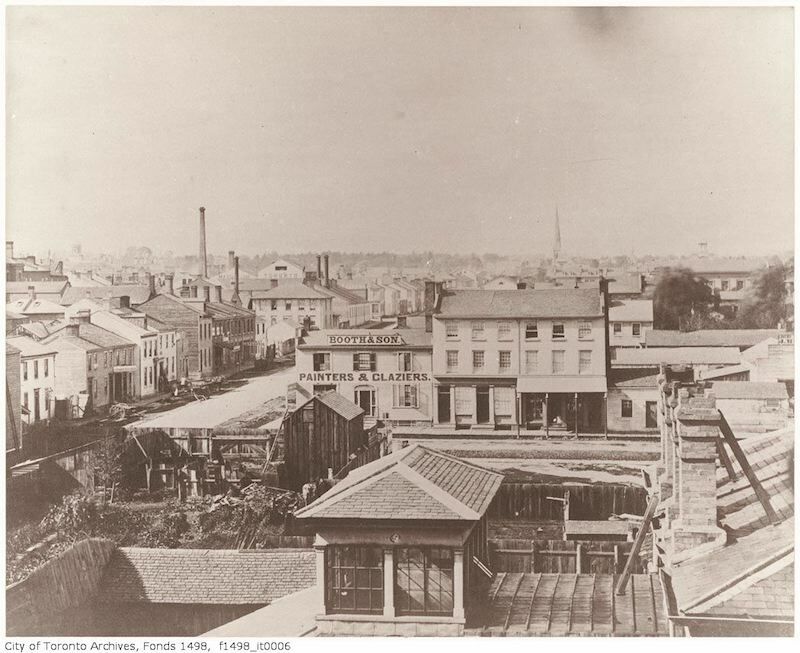 The 1856 Toronto portfolio also contains 13 views taken from the top of the Rossin House Hotel at King and York streets, which, when put together, create three multi-part panoramas, or a single, 300-degree vista. 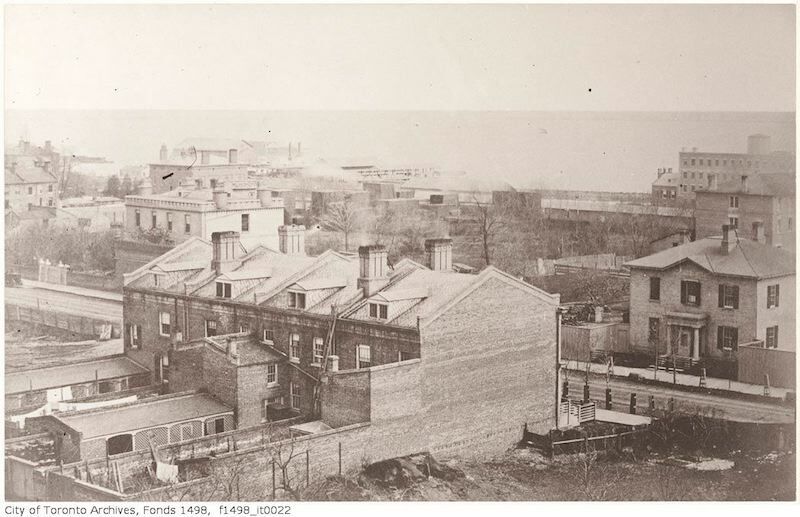 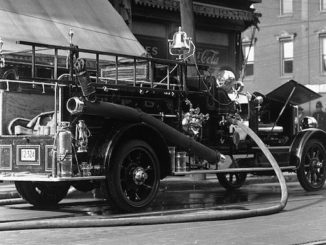 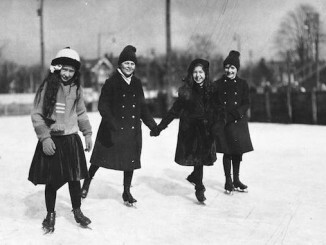 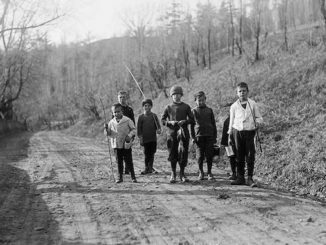 The 25 photographs reproduced from copy negatives are some of the earliest photographic views of Toronto. 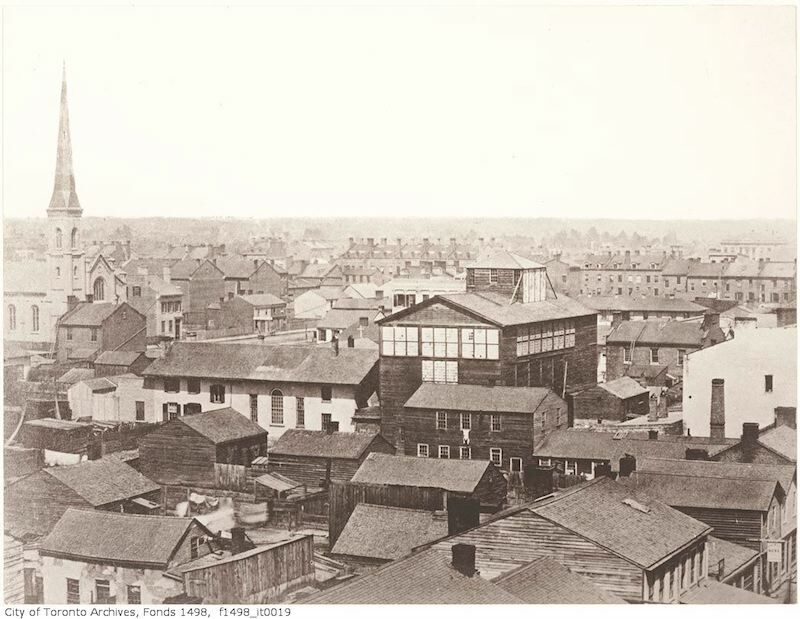 In 1984, the original prints of the 1856 Toronto images, loaned by the Foreign and Commonwealth Office in London, were exhibited at the Market Gallery, and another copy of the prints were presented to the City as a Sesquicentennial gift from the British government. 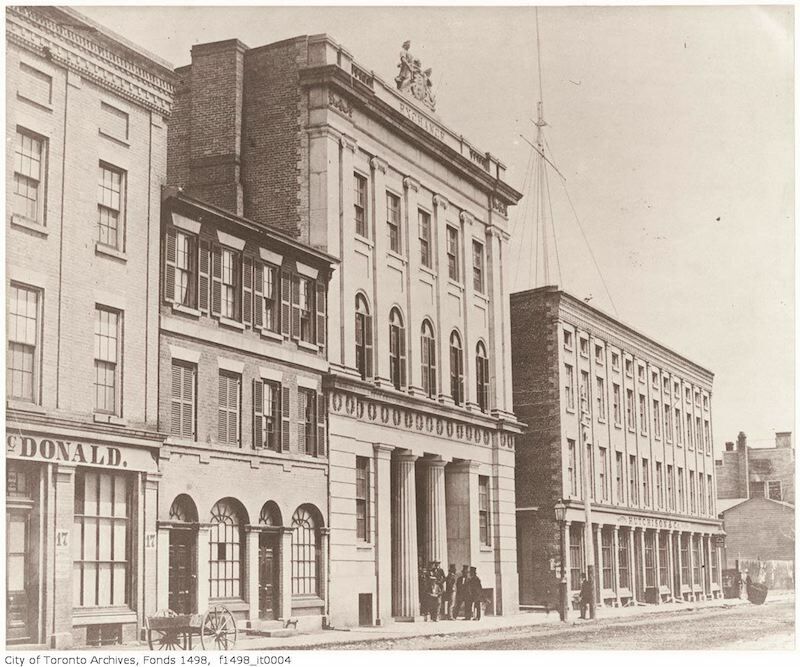 The business Armstrong, Beere and Hime was located at 35 King Street East in downtown Toronto and was advertised as “Land Agents, Engineers and Photographists”. 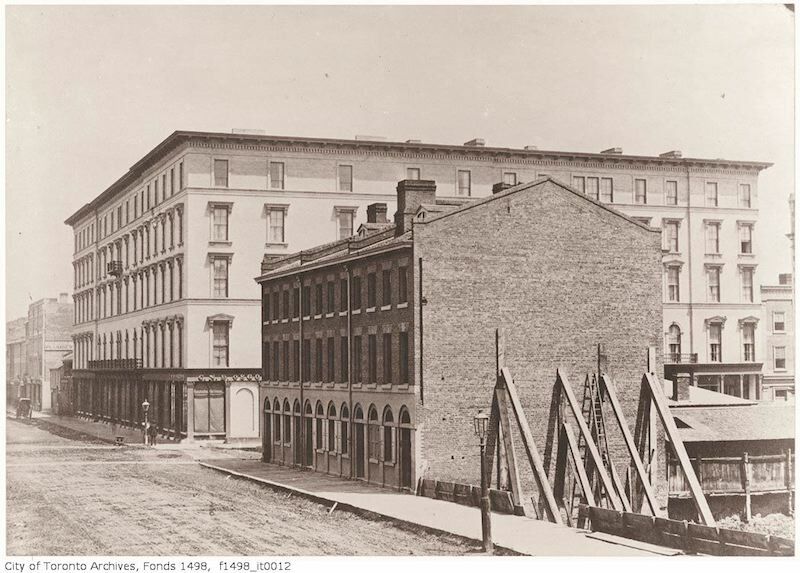 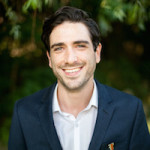 The company was made up of William Armstrong, an Irish immigrant who opened his first studio with his nephew Daniel Manders Beere in 1855 and Humphrey Lloyd Hime who became the third member of the firm in 1857. 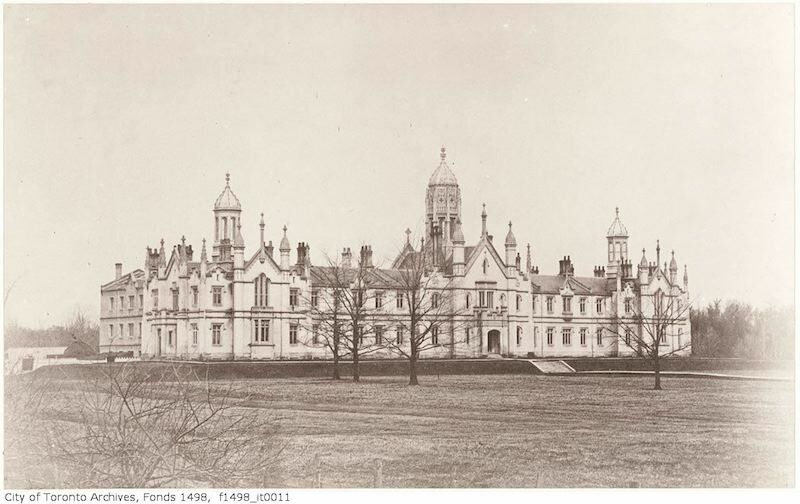 The 25 original photographs were “re-discovered” in the 1970s by a Canadian archivist, and were added to the collection of the Foreign and Commonwealth Office library, London, where they remain.